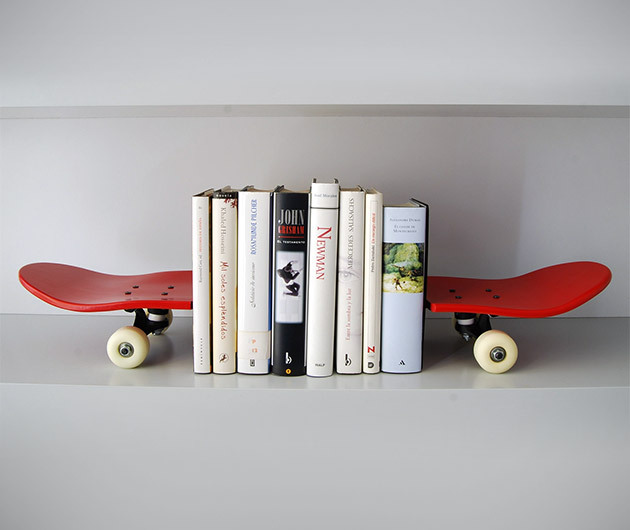 Add a touch of street cool to your reading collection with Tail & Nose Bookends. Forged from premium Canadian maple and complete with skateboard wheels, they're available in a range of colors like honey, walnut and black. Don't worry, there are hidden brackets underneath to prevent them from skating off, just in case your shelves aren't straight.